AFK Auto Spell are HOLDING My Exp leveling time and Respawn. I'm new here at IRO, I spend money every month buying KP and I'm VIP. Well I'm very angry and pissed first I'm trying XP on maps where I usually go and now I can not you guys know why? The answer is simple and there are no mobs respowning, and when there is very little. Because every damn map corner has someone afk holding the mobs. It took me 3 hours to do my missions in low IT. It took me 1 hour to do a bounty board inside scaraba dun2. It took me 1 hour 20 to finish my bounty on Nogg2. I'm killing myself to make big bell bounty board because there's half clocks walking on that huge map. The question is simple, I am playing, spending time, physical energy, playing a game where I can not evolve, because who is not playing in the end is finishing with my fun and game, it is literally stressful. . I can not take it any more, I want solutions. Edited by Tommyindie, 15 November 2018 - 12:43 AM. That doesn't actually help at all unfortunately. This is just the initial 24 hrs of server being up. You can see that even though I was camped on by a homunculus for a good 6+ hrs it had no impact on my ability to afk successfully. After 24 hrs I got hundreds of maps during the tlap event this way. Someone KSing for 20-30 minutes, even hours, has 0 impact on someone with unlimited time and 0 effort. This is just 24 hrs. Imagine 20 people just like this online for a week. There is no way that FFA is actually going to make a difference on this issue. This isn't a playstyle. This is an exploit plain and simple. Even if it doesn't cause any respawn problems, it is still just as bad as botting in my opinion. My character is literally playing the game without me even being there. Maybe next time I'll throw on a spare card / show me the zeny / plasma cards / red lanterns. And make a few hundred mil a day. Edited by Scuba, 15 November 2018 - 01:29 AM. Increase mobs on these maps ... 3,4,5x. I have some classes stopped at low level. I dont see any groups in low ti, because there are no monsters. Try to complete a low ti in less than 1 hour, its impossible! Edited by amaroguto, 15 November 2018 - 05:07 AM. As theres no solution for the mob respawn bug, I suggest that whoever purchased VIP to grind their chars should either be refunded or have their VIP status extended for 1 more month. The solution should be to increase the spawn by a significant amount or to implement the fix they were sayinf where it would respawn x amount of mobs if less than certain amount. Edited by PIayboy, 15 November 2018 - 12:02 PM. lets AFK in every TI corner ! Increasing the spawn won't work. Making another map won't work. Maybe kRO should fix the bug that prevents respawning. Maybe you should change maps and let’s see if it would change sumthin. 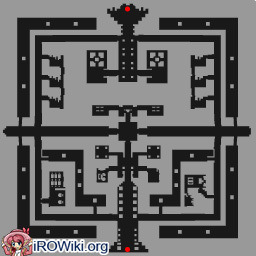 There might be some dead cell that those mobs spawn on the map. if we cannot KS AFK levelers, can we PK them instead? You can KS AFK levelers. People what happens that even with greater respawn in maps where the monsters that are of level MID to HIGH the monsters that are tanking for the afk player take in average 30 seconds or more to die that implies in reduction of respawn. second point and that if put a quantity X of afk players in the corners of the maps you end up respawn timing. third point the player who plays active and ends up being negatively impacted because he can not mob or do a fast kill mobs leveling. an example if you take more than 30 minutes to do a bounty of Big Bell in NCT is prejudicial to the Active player. This is basic mathematics, as a player I am being harmed and negatively impacted. People what happens that even with greater respawn in maps where the monsters that are of level MID to HIGH the monsters that are tanking for the afk player take in average 30 seconds or more to die that implies in reduction of respawnecond point and that if put a quantity X of afk players in the corners of the maps you end up respawn timing. Edited by Tommyindie, 16 November 2018 - 12:53 AM. Are we absolutely certain that its just AFK levelers that are causing this problem, because I heard that its actually the use of freezing effects that mostly cause the problems. I mean its anecdotal of course, but I have heard that sometimes monster sprites don't disappear properly when they are killed and frozen at the same time. Or what about active autocasting characters such as sorcerers and shadow chasers, are they contributing to the spawn losses? If it is the freeze issue, it is still exacerbated by afk players. Imagine an afk player bugs 1 monster per hour. If a map starts with say 150 of a monster, in just 3 days the spawns would be halved. An easy way to test if it is a freezing issue would be to put 2 undead mobs in the low TI so they don't freeze. Edited by Scuba, 16 November 2018 - 02:02 AM. it has to do with some of the way the monsters are being killed, being afk and killing by itself to cause anything would have been noticed ages ago in Orc Dungeon2. Although most of the killing is done "actively" by the homunculi,plenty of characters wear some sort of autocast gear as a safety measure in case they get swarmed. Over a week period and how many characters are there, it would have a noticeable impact if anything had changed. anyway its still good for leveling an instant kill aoe class like warlock. +175% fire(crimson rock), +125% water(jack frost) & +150% ghost magic skill(SExpansion). Edited by Ward20th, 16 November 2018 - 02:47 AM.